Ilona has that bowling bag style. The full zip of the main compartment and the attached front pocket create stylistic highlights. 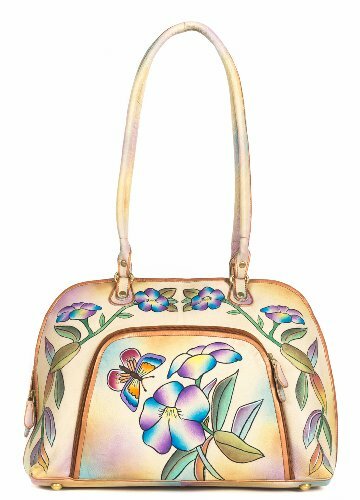 The bag has a light and dainty appeal with the beautiful floral design with a butterfly. A bag as individual as yourself! Carry Your ZIMBELMANN Bag conveniently over your shoulder.